Abstract: The reason behind the success and popularity of the Airwheel mars rovers is its innovation and being bold in breakthrough, as we can learn from its new products, R8 and R6 electric assist bikes, A6S and H3S electric wheelchairs. The following will be taking the H3S as an example. Airwheel mars rover's popularity lies in its innovation and being bold in breakthrough, as we can learn from its new products. Based on the merits of the previous mobility scooters, they are all comprehensively improved and upgraded. 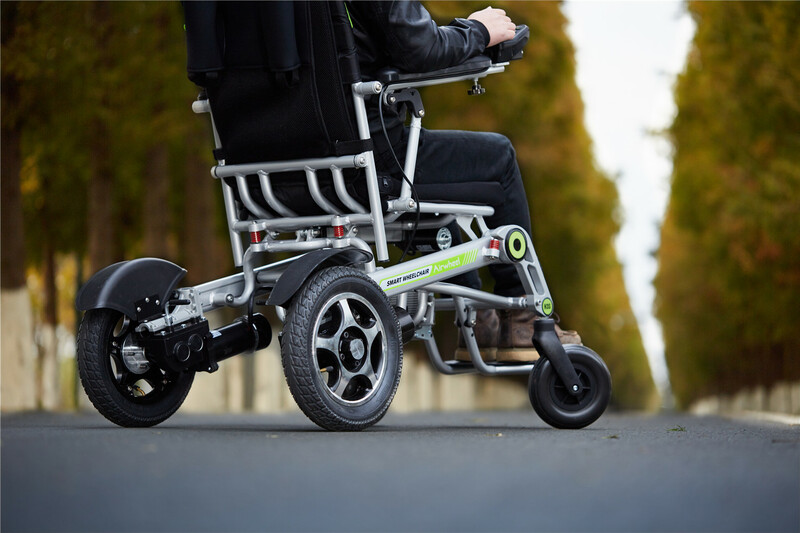 For instance, the Airwheel H3S folding electric wheelchair is equipped with dual ride modes and more importantly, it is designed for the old and the disabled. Thanks to the progress and development of the science and technology, Airwheel H3S power and manual wheelchair conforms to the production philosophy of “FREE INTELLIGENT LIFE” and brings more humanized design and graceful posture for rider. For one thing, the various ways of riding brings unexpected comfort. The electric mode gives riders an effortless ride and allows riders to stop and chat freely. Riders can enjoy the company of friends and families in the manual mode. All controls are realized by the intelligent joystick controller. It will automatically brake when rider's hand does not touch the controller, which is super easy to control. Also, when going downhill, it will decelerate immediately until stop if rider releases the controller, which guarantees rider's safety. Even though the various ways of riding modes is the most intriguing feature, other traits cannot be neglected. The DC brush motor in H3S power chair makes the operating power is greatly increased and is quiet with lower energy consumption. H3S is light, handy and can be turned 360 °, which is your perfect helper to work, travel or go shopping. Also, the automatic folding system makes it easy to store and convenient to use. H3S electric wheelchair can be ridden at night with the headlight under the controller. It always lights up the road whether it is on urban streets or rural lane, outdoors or indoors. In a word, the invention of H3S enables the old to have more and better choices.